Myth #1: If Reiki isn’t on their radar, you will be turned away. Many shelters are interested in holistic modalities and are always looking for enrichment and companionship for the animals in their care. 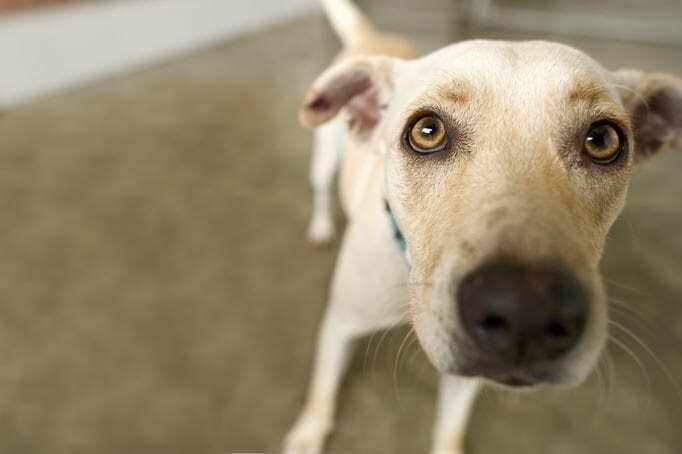 Even skeptical shelters will happily take you on as a regular volunteer, and in time they may become more open to your sharing of Reiki in addition to your regular duties. Myth #2: You have to enter the animal’s kennel to be effective. Reiki is about connecting hearts, not hands. Physical contact is not required, and in fact, for many fearful animals, it is preferable to remain outside the animal’s enclosure when sharing Reiki. Myth #4: You have to focus on one animal at a time. The Reiki space is inclusive, not exclusive. All of the animals around you who are open to sharing Reiki will be able to benefit from your meditative presence. In fact, the more animals who choose to participate, the stronger the space will be. Myth #6: The staff will think you’re batshit crazy. This might be true at first, but trust me, hang in there; in time and with quiet patience and dedicated practice, the amazing healing results of Reiki meditation can transform even the most ardent anti-Reiki know-it-all (we’ve all encountered them) into a believer. Soon they will have your number on speed dial to help their companion animals at home, too! So don’t hesitate any longer. Get out there. Make a connection with your local shelter—the animals need you! What myths have you debunked on your animal Reiki journey? I just started my own canine massage business Hands Healing Hounds (check me out on fb 😉 and I started volunteering, working on the animals at my local humane society. The dogs love it, they usually fall asleep. I haven’t taken any classes on reiki yet but I want to become certified. Any recommendations of online courses I could take or would you recommend hands on? I don’t drive so that’s making things tough. Any suggestions tips are appreciated. You are very welcome Judy! I am starting this week volunteering at the Arizona Humane Society with the kitties! Any advice for sharing Reiki? That’s wonderful to hear! Don’t force hands-on: let the kitties choose physical contact if they like; if not that’s ok too. See with your “Reiki eyes” – with your heart – see their perfection in this very moment – their beautiful light is always perfect, no matter what has happened to them or what struggles they might face. In this moment, all is well in the Reiki space 🙂 Have fun too!